Lately our surrounding trees in both our front and back yards have been taken over by robins. Each year, they move in during the winter and get drunk on the tree’s berries. This morning, I was up earlier than normal and observed a few of them fluffing their feathers. I love this shot for the silhouette of his slightly open beak and the puffiness of his chest. 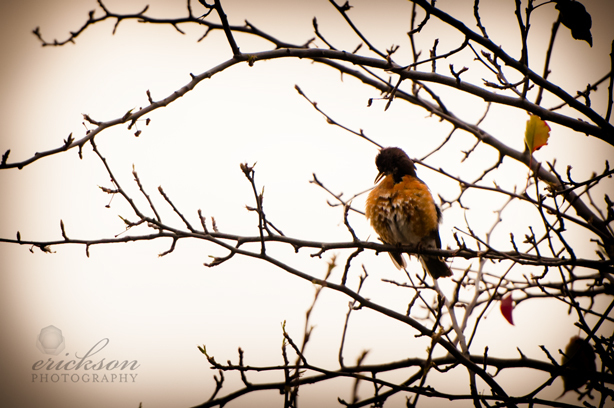 The bare branches in the tree he’s roosting on captures the quietness that accompanies winter.